Don't be afraid to look your enemy in the eye! 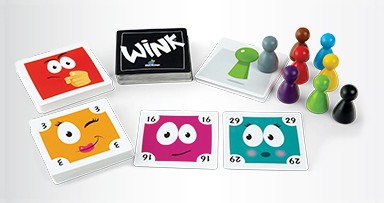 Wink is a silly party game that will have your friends and family laughing all night long. 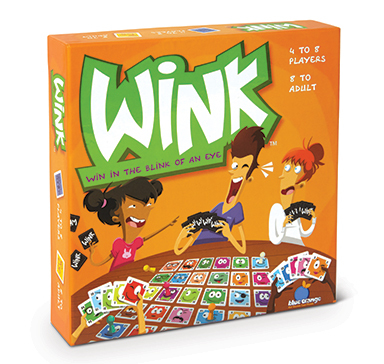 Your mission is to covertly wink at your secret partner without being detected by the other players. Your secret partner is determined by whether or not you have the matching card he is looking for. 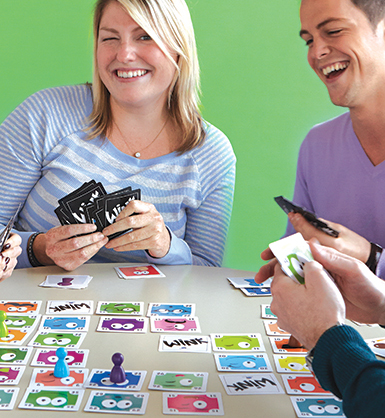 Wink is the perfect ice breaker game with a healthy dose of paranoia.